$3 Admission & Kid's 12-under Free! 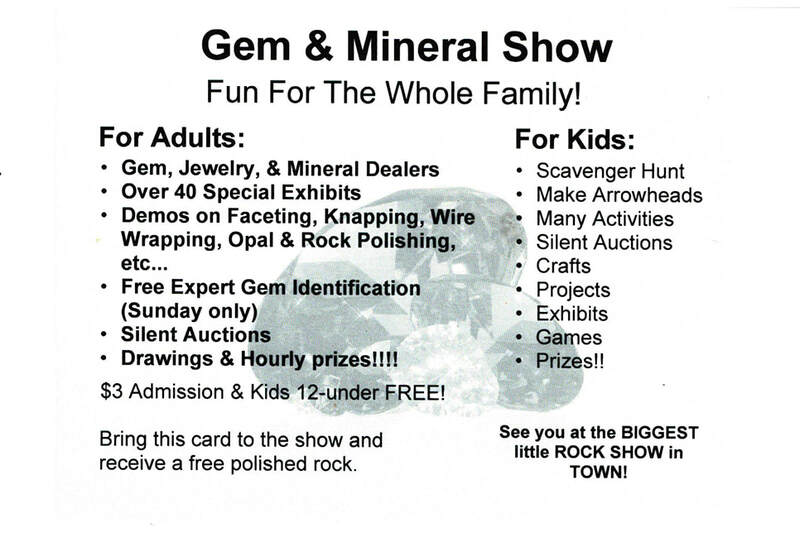 ​Gem, Jewelry, & Mineral Dealers, Over 40 Special Exhibits, Demos on Faceting, Knapping, Wire Wrapping, Opal & Rock Polishing, Silent Auctions, Scavenger Hunt, Games, & Crafts for the Kids, and Many Drawings & Hourly Prizes! 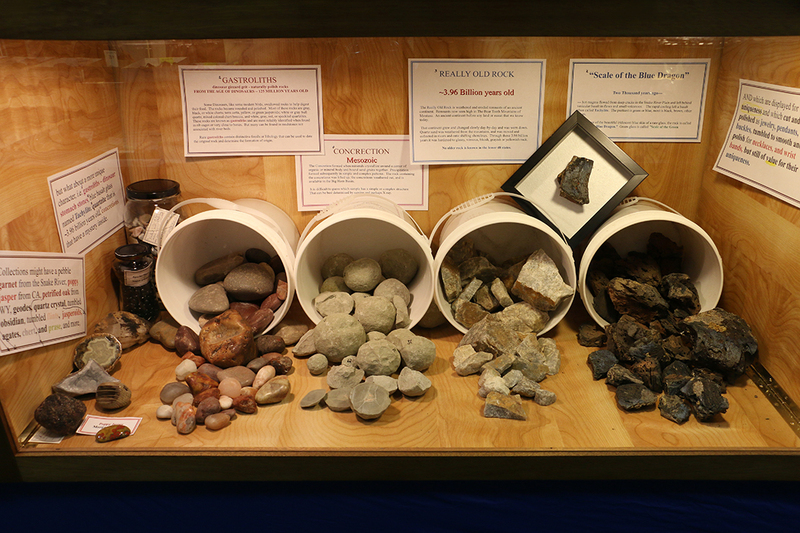 This list includes gem, jewelry, and mineral dealers. If you are interested in participating in the show, please fill out the forms below and contact our show coordinators. A list of upcoming shows in in Idaho, Western Montana, Northern Utah, Western Wyoming, Eastern Washington and the NFMS Show.